We are proud to offer age management and preventative care treatments to enhance the lives of the community of Milford, CT. We are passionate about treating the root cause of health issues, not just the symptoms. Our highly educated staff provide only well-researched and proven methods to restore your health and wellness to its optimal level. 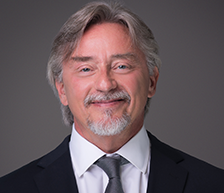 Dr. Charles Guglin MD FACS was born and raised in Rochester, NY. After receiving a BS from SUNY at Albany, NY he went on to medical school at the University of Pittsburgh School of Medicine. He underwent General Surgery Residency training, initially at New Britain General Hospital in New Britain, CT, then finished a Trauma Fellowship and wrapped up his General Surgery training at Hartford Hospital in Hartford, CT. He has been a practicing acute care General Surgeon in Milford, CT for 28 years. Toward the end of this tenure he became somewhat dissatisfied with medicine the way it is typically practiced in this country. It has become the norm, in part because of the undue influence of the insurance and pharmaceutical industries, to allow patients to become chronically unhealthy, mostly as a result of lifestyle issues, then to treat their symptoms with pharmaceuticals or invasive surgery. At that point he became impassioned about the newer concept and the field of Preventative/Functional medicine. Practitioners in this field are dedicated to finding the root cause of chronic illnesses through the use of advanced diagnostics, including extensive blood studies, genomics, body composition analysis, VO2 Max studies and cognitive testing. Clients then sit down with their physician and formulate a comprehensive plan including nutritional counseling, age and fitness level appropriate physical training, nutraceuticals, hormone optimization, and stress reduction strategies. Dr. Guglin feels that this is the best approach to achieving wellness, no matter what age or state of health you are in presently. He understands that, only through hard work and dedication to achieving your personal health goals along with the education and medical assistance HyperFit MD can provide, you can dramatically improve your health and quality of life. Several years ago Dr. Guglin became interested in the practice of hair restoration. At this juncture in his career he decided to add the art of Hair Restoration to his new practice. He feels his long experience as a surgeon, technically manipulating living tissue, enhances his ability to achieve a superior outcome. Neograft follicular unit extraction technology has been a game changer in this field and he is proud to offer it to his clients. 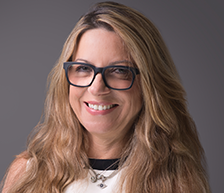 Francesca Guglin, Owner of Hyperfit MD Age Management Center strives to offer clients five-star services through advanced science, education and close supervision while maximizing their health and quality of life. Francesca has various schooling abroad in Europe, as well experience in the aesthetic Mecca of Florida. Her extensive knowledge in the aesthetic industry brings the cutting-edge science of functional and preventive treatments to provide clients with the superior care and expertise in the comforting and welcoming environment of Hyperfit MD. Francesca is happily married to Dr. Charles Guglin and in her spare time, she enjoys hiking, sculpting and motorcycle touring.